Another special episode! 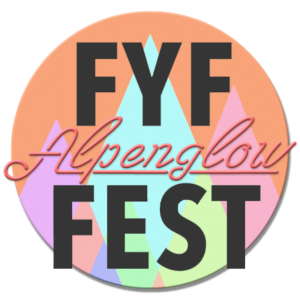 This time, I am featuring the artists from Los Angeles’ FYF Fest, which takes place this weekend July 21st – 23rd. 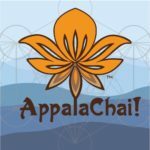 Not sure if any other Asheville, but I am very stoked as it has been a yearly tradition of mine since I stopped going to Coachella. While I am not trying to cause any West Coast FOMO, I will be talking about who I am excited for, as well as all the artists who are playing and will have shows in or near Asheville, so you can check them out as well. While there are some notable gets who we probably won’t see in our area anytime soon (looking at you Missy Elliott), there are plenty of acts who will be making appearances. All in all, the show is going to be filled with tons of great music to check out. Below I am going to forego the usual set up and just feature 4 awesome artists that are playing. After seeing Anohni’s live performance at last year’s FYF Fest, I was blown away at what a concert can be when you focus more on the art. I believe Arca will be this year’s Anohni, in a sense that the visual performance will be so provocative and mind blowing, that I may cry again. His latest self-titled is so haunting and beautiful, going deeper than just dreamy pop and diving into epic soundscapes that can only be compared to a modern opera. It almost pains me to know that we are the same age and he’s achieved so much, but I guess that’s just what happens when you work hard and are destined for something greater. Not only is he an artist, but he is an amazing producer as well. If you enjoyed Kanye’s Yeezus, FKA Twig’s EP2, or Björk’s Vulnicura, some of your thanks can go to Arca. Arca’s self-titled was released April 7th on XL. Dope. There’s really not much else to say about Brooklyn’s Kirk Knight. Late Knight Special is his debut album, and the flows and collabs on it are fantastic. Featuring appearances from Thundercat, Joey Bada$$, Mick Jenkins, The Mind, and Noname, it creates a perfect blend of NYC and Chicago style. 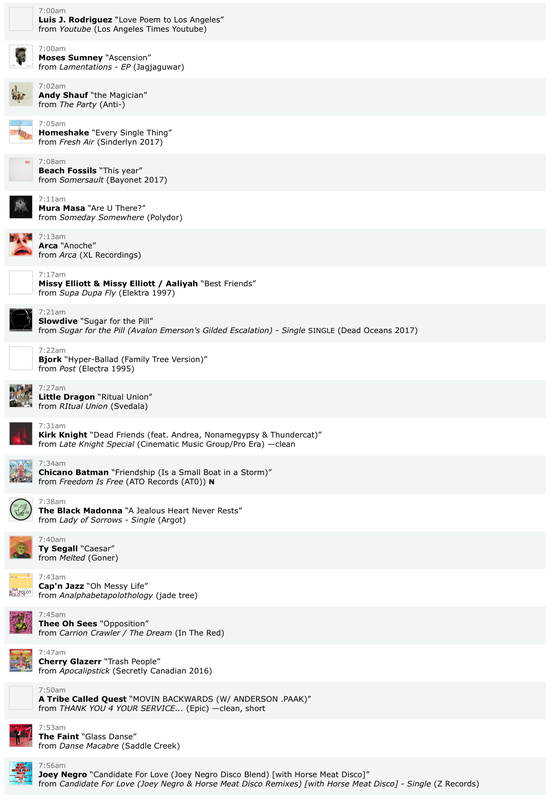 HiphopDX called it, “a sonic oeuvre of contemporary East Coast Hip Hop rooted in tradition, yet stunningly present.” I don’t know a better way to put it. Late Night Special was released Oct 30th, 2015 on Pro Era Records. 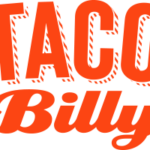 To me, nothing get’s more LA than a band named after their favorite NPR reporter. I remember when they formed, I was listening to KCRW and Chery Glaser was talking about how flattered she was. Back with their follow-up to Haxel Princess, and moving from Burger Records to Secretly Canadian, Apocalipstick is a perfect name for the explosion and raw force this album has to offer. Apocalipstick was released Jan 20th on Secretly Canadian. 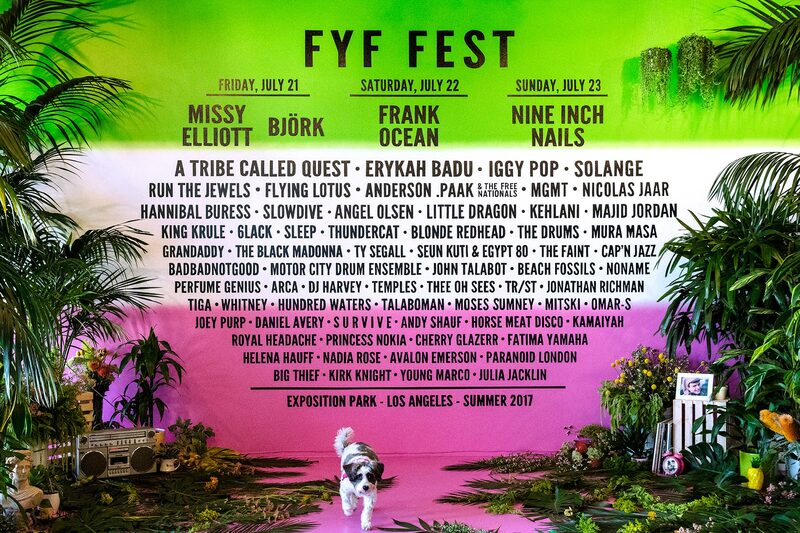 Frank Ocean, Nine Inch Nails, Solange, Angel Olsen, MGMT, Nicholas Jaar, A Tribe Called Quest, Cherry Glazerr, S U R V I V E, Mitski, Noname, 6lack, Mura Masa, Motor City Drum Ensemble, Omar-S and many more will be at FYF’s sister festival to the East, Panorama Fest in New York City, July 18th – 30th. If I missed any shows in the greater WNC area please let me know. Want to request any music for an upcoming show? Obscure, sleeper, local, big hit, send them my way at andrewvasco@ashevillefm.org and I’ll give you a shout out if I end up using it! Tune in next week for new music from Cults, Arcade Fire, the Mynabirds, and Lana Del Rey.